Samantha has been shooting for her portions in Mahanati over the last few months and the actress has now wrapped up for her role in Mahanati, which is currently being shot in Hyderabad at a popular studio. Actor Samantha Akkineni will be seen in a fictional role in Mahanati, the biopic on iconic actor Savitri, which is being directed by Nag Ashwin. Starring Keerthy Suresh in titular role and Dulquer Salmaan portraying Gemini Ganesan, Mahanati has a stellar star cast which includes Samantha Akkineni, Prakash Raj, Rajendra Prasad, Vijay Deverakonda, Shalini Pandey and Mohan Babu among many others. Samantha has been shooting for her portions in Mahanati over the last few months and the actress has now wrapped up for her role in Mahanati, which is currently being shot in Hyderabad at a popular studio. Samantha took to her social networking page and posted a picture along with message which confirmed the news. “And it’s a wrap on #Mahanati 💃💃 Wrapped up 3 films this month 💪 Been an absolute honour to be part of such history @VyjayanthiFilms @nagashwin7 Thankyou for a wonderful experience!! #MahanatiOnMay9th ,” wrote Samantha Akkineni on her Twitter handle. Samantha would be seen playing a journalist in Mahanati and the life story of Savitri will be unfolded through her character. The biopic has been in the production stage for a while now and was slated for a release in March. However, due to a delay in the shooting schedules, the makers have now pushed the release to May 9th, 2018 avoiding clashes with other big films like Mahesh Babu’s Bharat Ane Nenu and Allu Arjun’s Naa Peru Surya which are slated for April and May releases. Mahanati will be released in simultaneously Telugu and Tamil as well, titled Nadigaiyar Thilagam. 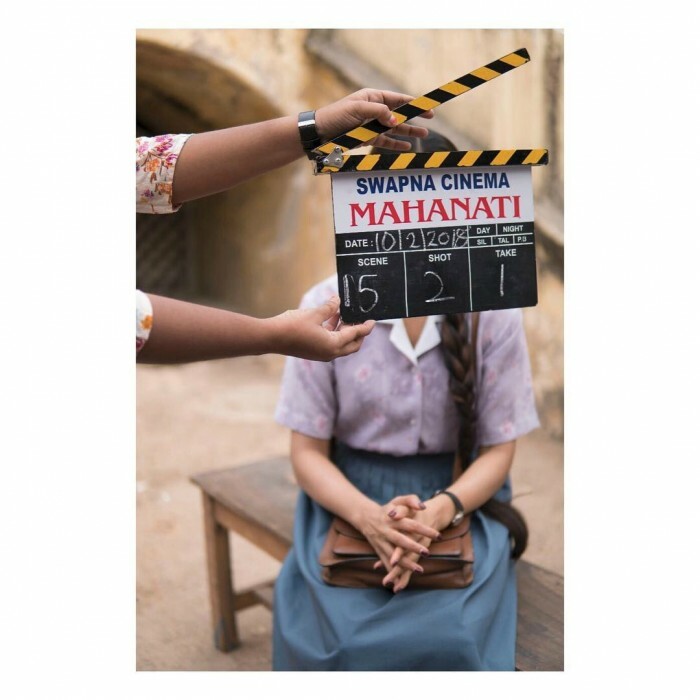 Mahanati is one of the most awaited for films in South Indian cinema since it will portray the life of an iconic actress – Savitri – who has acted in all four South Indian languages, majorly in Telugu and Tamil. Having acted alongside many top stars of her times like Akkineni Nageswar Rao, N.T.Rama Rao and Gemini Ganesan among many others.